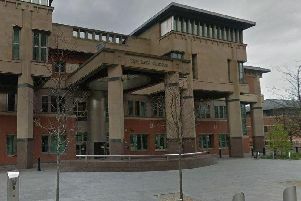 SEVENTEEN of the companies used by Rotherham Council do not have the policy statements on preventing modern slavery – which are required as part of legislation dating back to 2015. The council itself is introducing an annual ‘transparency statement’ on modern slavery, though local authorities are not obliged to do so, and is to make those organisations “the first target for us” as it takes on a commitment to tackle the scourge of slavery. It is estimated in the UK there may be 13,000 held against their will and forced to work, often after having documents like passports seized, and the Modern Slavery Act of 2015 seeks to address that, with major companies now expected to publish a transparency statement to clarify the actions they take to safeguard against worker exploitation. Rotherham Council’s ruling Cabinet have agreed they should adopt their own statement, to be updated each year, though a search of the organisations providing goods and services to the council have revealed the 17 without such documentation in place. The council has already been involved in some operations with other agencies, focusing on business areas where employment rights are a known issue, such as hand car washes, with some offences discovered as a result. The council has also agreed to update its enforcement policy, the rules which govern the methods it uses to track down and deal with criminals, to take account of the digital era. They are aware of spurious waste disposal operators using social media platforms to advertise their services, which are unlicensed and may result in fly-tipping, with frequent identity changes. The council wants to ensure it can trace them effectively, with concerns that residents may inadvertently find themselves committing offences by using unlicensed operators to get rid of their rubbish. The council has insisted their intent is to hunt down illegal traders rather than acting against residents.